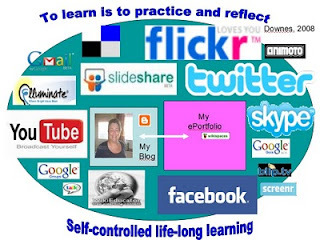 About 10 years ago I became very interested in the use of social media for personal and professional teaching and learning, as well as development and networking. 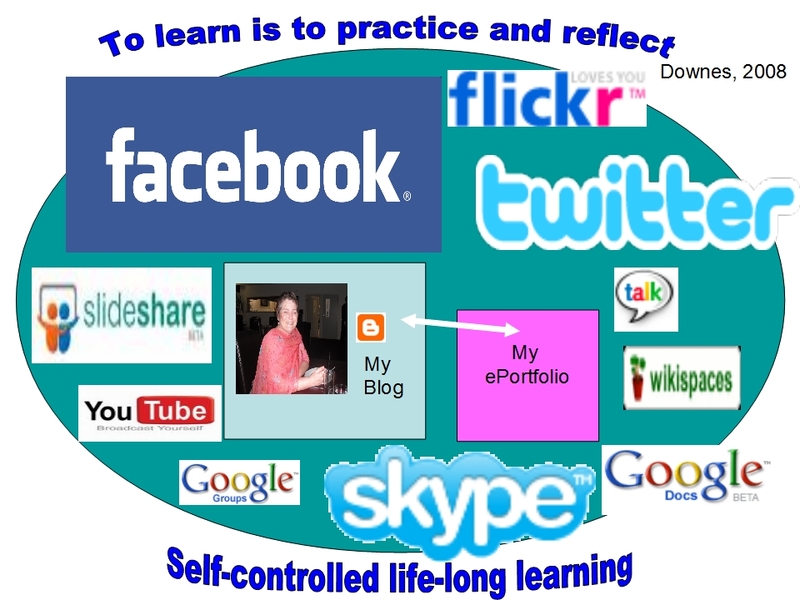 Over the years, as a clinical midwife, midwifery lecturer and eventually instructional designer and staff developer, I have charted my use of online technology and changes in my personal learning environment (PLE). I am just starting a project where I am looking back on the last ten years of open access education and all the concepts that interlink. So it's timely to reflect back on the evolution of my own PLE over the last 10 years. 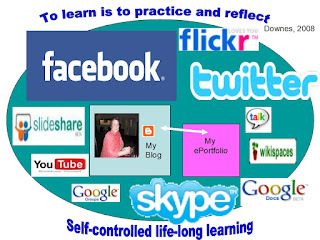 I tracked my use of online technology for teaching and learning from 2008 to 2011. I haven't posted about it since then, probably because my job changed from working in education to industry, which raises an issue about relevance and applicability that I will come back to later. 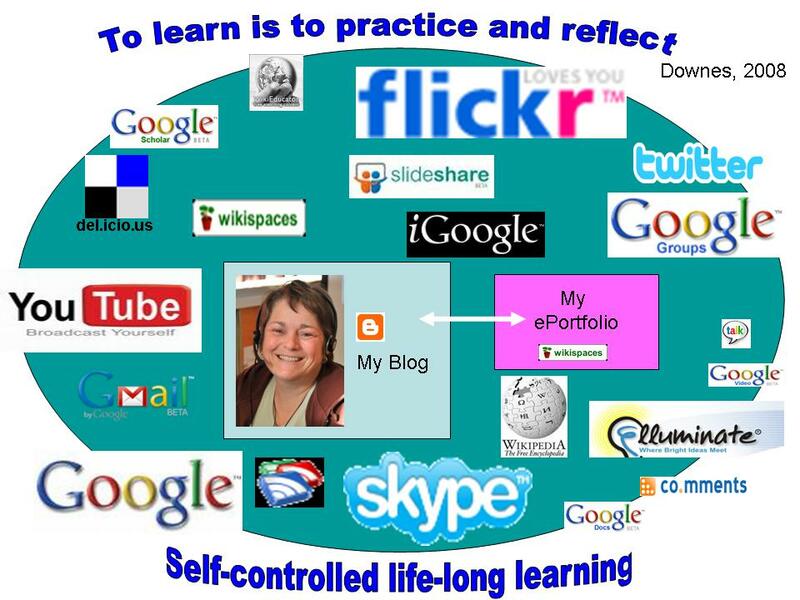 In 2008, my blog and e-portfolio (which was hosted in a wiki) was the central point of my PLE, with tools such as Delicious, Wikispaces, Wikipedia and RSS hovering around the edges. I was talking about my blog being the central point of my PLE where I was doing all my thinking, recording and analysis, which resulted in outputs which I displayed in my e-portfolio. However, there was no sign of Facebook, Twitter or other social media tools. 2009 saw the appearance of Facebook, Twitter (more prominent than Facebook), and the virtual world, Second Life. My blog was still central but stating to drop off because of time constraints. Slideshare and Youtube were used heavily as alternative places to find information for my teaching, as well as display and share content. The comment I had to make in 2010 was that my use of tools depended on the work I was doing. For example, Second Life had dropped from the PLE because I was no longer using it in my work. But that in itself is telling, because if it was worthy of use, I would have continued to use it even after my Second Life project had completed. Other tools had dropped off just because they were no longer available such as iGoogle and RSS. Facebook was growing in importance, as a means of networking and sharing information, and I was using tools like Animoto and Screenr to produce content for teaching and so on. I was also using wiki in various form to facilitate online collaboration. The last analysis of my PLE was in 2011 when I felt that my core tools remained much the same ie blog, e-portfolio, Facebook, Twitter, Slideshare, Youtube, Skype. However, the number of tools had reduced and I concluded that if a tool wasn't simple and intuitive, then I would not use it. As I reflect over the last six years, I see that there are two major changes immediately noticeable. My PLE has divided, like cell mitosis into two domains: desk top computer/lap top and mobile phone. As you can see, there are tools and activities that cross both domains such as Facebook, LinkedIn and Skype. But, there are other tools and activities that I use specific to a particular domain, not necessarily because they cannot cross into the other domain, but I choose not to use it. For example, I don't use Dropbox on my phone because it's a tool I use mostly for work; as my phone is my personal phone, I don't access work materials on it. 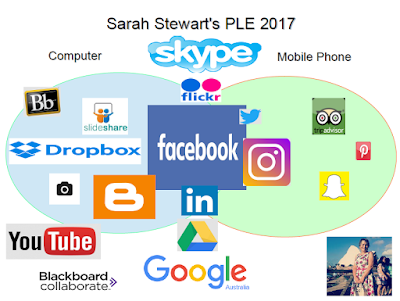 The second big change is that Facebook is now the hub of my PLE, with my blog, Twitter, Instagram and LinkedIn integrated into it. This is a complete change from before when my blog and wiki e-portfolio were the hub. I do not use wiki at the moment, and LinkedIn now acts as my e-portfolio. As tools, apps and platforms have moved in and out of favour, there are a few that have remained my 'tried and true' favorites such as Slideshare, Flickr and YouTube. I think this is testament to their usability, compared to other platforms that have been 'sparkly' in the short term but have faded from favour. But the range and use of tools may also reflect my own job. 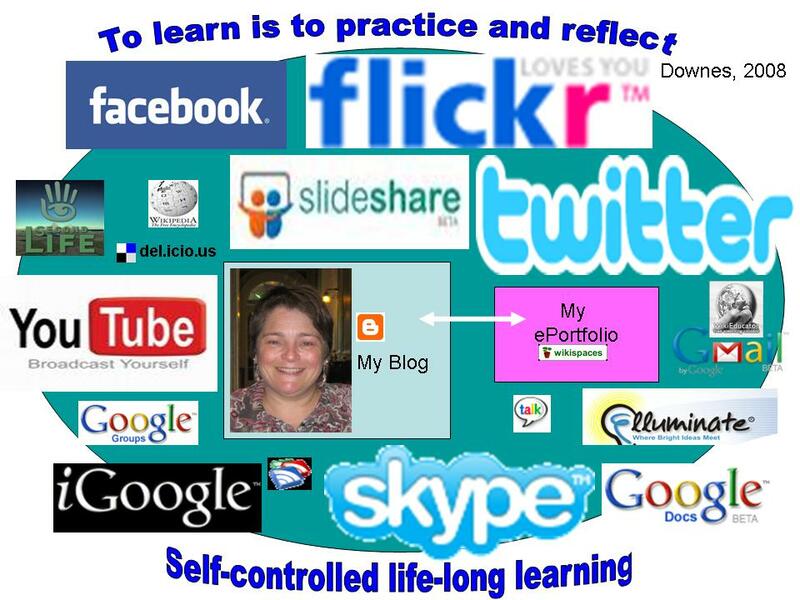 For instance, now I am not teaching, I am not using the tools that helped me to develop content. Similarly, BlackBoard and BlackBoard Collaborate are only in my PLE at the moment because that is where/how my MBA is being delivered. The other thing that has changed, but might not be quite so obvious to people passing by, is that there is a lot less blurring of use across the platforms. 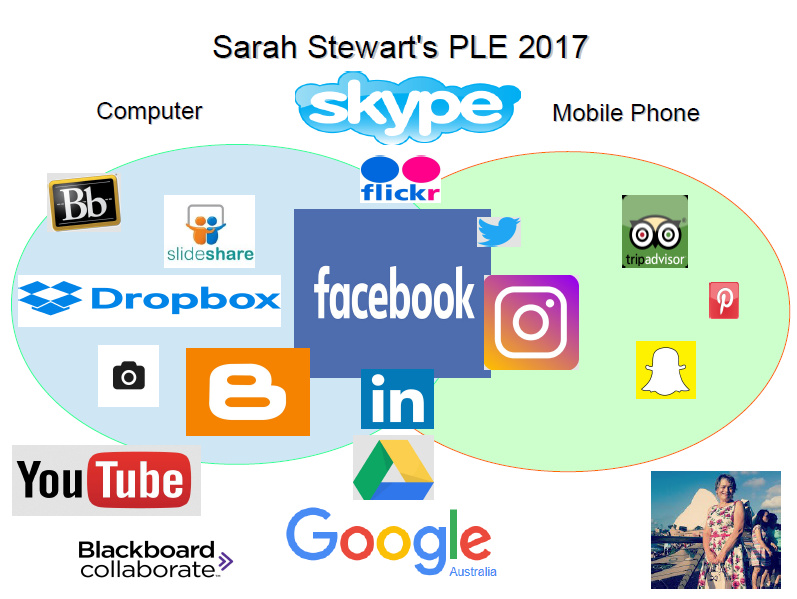 For the most part each tool and platform has its specific target, audience, or place in my learning; Linkedin and Slideshare has professional uses; Facebook is mostly personal; Instagram is where I connect with the local Canberra community. Skype and YouTube are the two main tools that cross over both personal and professional spaces. And as for my blog, I have just started blogging again after a time away, so not sure how that's going to go. This is the start of a bigger project where I want to look at how my content has been accessed and used over the last 10 years, in relation to open access and open education. I think its going to be a very interesting journey. How has your PLE changed over the years? Do you still blog or use wiki? How big a place in your learning does Facebook play? What the latest new tool that has come out that you love? Is the PLE such a thing, or just trendy term that we used back in the day? 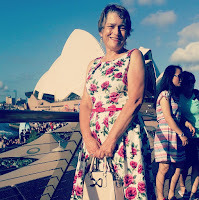 PS: If you're interested in tracking your use of social media and online tools over the years against the global trends, have a look at Jane Hart's Top Tools for Learning Lists which she has been amalgamating since 2007. Thanks Jo. Yes, I am the same. Don't want to have FB as the centre of my hub, but you have to go where the people are. And yes, have less of a global focus than back in the day when you and I first me online. But I believe my activities and PLE has been heavily impacted by my job, so what I am reflecting on is the difference in PLE when you are an educator, and what actually happens in the 'real world'. 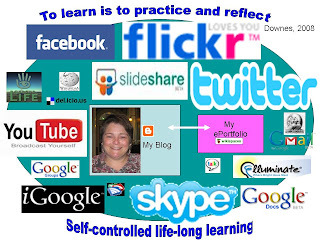 I agree Sarah - my PLN/E and activities have also been affected by my job. Yes I am still an educator but given the narrow focus (both in terms of innovation and networking) of many colleagues I have narrowed my own perspective to the "baby steps" necessary to encourage people to network online at all. The pressure on TAFE over recent years hasn't helped in that it has made people even more scared of stepping out of their comfort zones. I think I have to some extent stopped fighting so hard - comes of getting old I suspect!